If you have been thinking of straightening your teeth or your teenager’s	teeth without the use of bands, brackets, or wires, you may want to consider	Invisalign. Here at Your Smile, we offer the most advanced technology	in orthodontic treatment. We won’t have to refer you to another office	for your procedures, instead, our	Bel Air orthodontist can take care of all of your needs right here. Since Invisalign is clear and nearly invisible, you won’t have to worry	about your friends, family, or associates noticing the braces on your	teeth during treatment. 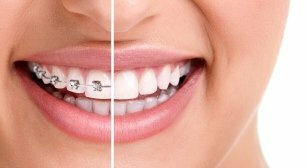 With visible metal braces, you may find that you	feel somewhat self-conscious with the way they look, but with Invisalign,	you don’t have to sacrifice comfort and your appearance to achieve	perfectly straight teeth. Call us	now at 410-877-3000 to find out more! Schedule your free Invisalign consultation today!